Horace Silver, the influential hard bop/soul jazz pianist, songwriter and bandleader, was riding high in 1965. His "Song for My Father" had become a hit, he had put together a new and brilliant quintet, and he had the opportunity to use the masterful trombonist J.J. Johnson as a guest on his new album for Blue Note Records. One the resulting album, The Cape Verdean Blues, Johnson joins one of Silver's greatest bands, a group boasting two brilliant new stars..... tenor saxophonist Joe Henderson and the young trumpeter Woody Shaw. Henderson and Shaw push Silver to take some of his most forward looking solos, and the pianist's compositions in turn push the soloists to think melodically and play with deep soul. 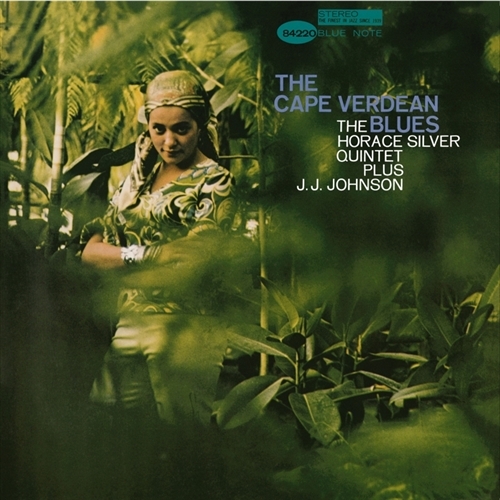 "The Cape Verdean Blues" is a tribute to the West African homeland of Silver's father. "Pretty Eyes" was Silvers' first original waltz. "Nutville" is both complex and uniquely catchy. The Cape Verdean Blues is simply one of the most inspired sessions of Horace Silver's long and outstanding career. Add the superb fidelity of this recording and you have an irresistible addition to the Horace Silver discography.